Kimberly A. Parker’s practice focuses on white-collar criminal matters, internal corporate investigations, and compliance counseling. Ms. Parker co-leads the firm’s Foreign Corrupt Practices Act (FCPA) and Anti-Corruption Practice. Ms. Parker is also co-chair of the firm’s Pro Bono and Community Service Committee. Ms. Parker represents clients in a range of criminal and enforcement matters and also provides compliance and governance advice. She has conducted internal investigations in the United States, Asia, Africa, Europe, and Latin America. She has represented companies and individuals in a variety of FCPA enforcement matters. 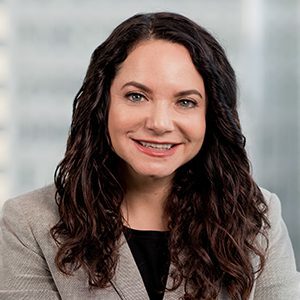 She also regularly counsels clients facing difficult FCPA issues in a variety of business contexts, and assists clients in developing and implementing FCPA compliance programs and conducting FCPA training. She is a regular speaker at FCPA events. Ms. Parker is a co-author, with Roger Witten and Jay Holtmeier of the firm’s New York office, of the leading treatise in the field, Complying with the Foreign Corrupt Practices Act (Matthew Bender, 8th ed. 2013).